World of Latino Cuisine: El Mundo de la Cocina Latina is set to return for its fifth annual edition next month. From Wednesday, Sept. 19th through Thursday, Sept. 20th at the Meadowlands Expo Center the show will feature aisles and aisles of products from Latin America and the Caribbean. 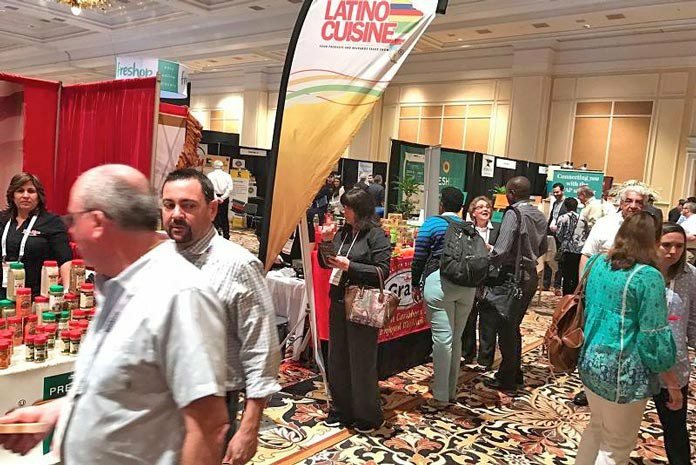 The trade show provides a dynamic venue where Latino food producers, both domestic and international, exhibit their offerings for the ever-growing Hispanic marketplace. The World of Latino show features exhibits, educational workshops, culinary demonstrations by International celebrity chefs, and much more. The show is projecting to double its attendance this year with a move of its dates from August to September. 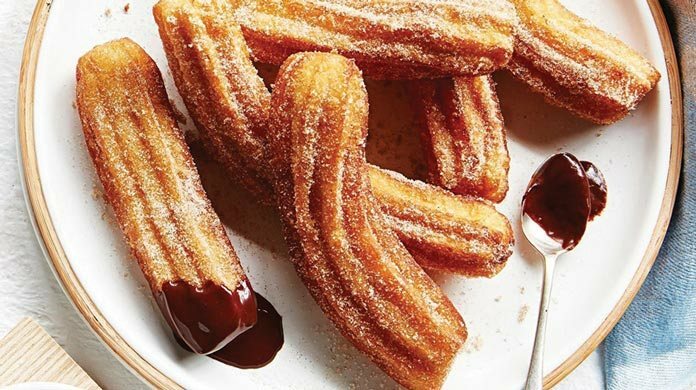 “We listened to both our exhibitors and attendees and they were thrilled with the value we were delivering in the Summer but felt we could attract more quality attendees in September as restaurants and foodservice professionals return from their vacations,” noted the show’s General Manager Bill Colon. The annual food and beverage trade event includes the participation of domestic food manufacturers, producers, and distributors. Importers from the Caribbean and many Latin American countries also participate as exhibitors, with almost 200 in attendance. Buyers and merchandisers, distributors, small- and medium-sized specialty food stores, regional chains, caterers, restaurants, independents, and bodegas are all expected to attend. Exhibit categories include frozen foods, groceries, organic products, dairy, beverages, and, in addition, non-food products. With more than 2,500 foodservice industry operators expected to attend, sponsors expect the show to be even bigger than last year. Highlighting this year’s education line up are a pair of much anticipated seminars. Evelyn Brito is currently the writer and executive producer of Bodega Makeover. On Wed, Sept 19th, she will host Bodega Makeover: A New Opportunity for Bodegueros. On Thursday. Sept 20th, the Professors at the Rutgers Food Innovation Center will present Food Safety Certificate Class for Food Handlers. The interactive session will allow time for instructors to answer questions from the audience, and encourage audience participation for exchange of “best practices” advice on successful implementation of these programs in a food-processing environment. Once again, the show will bring some of the biggest culinary stars to Metro New York. Award winning and best selling author Amalai Moreno-Damgaard, will take center stage with a series of culinary demos at the show. The Guatemala native is a legendary figure in creating understanding and appreciation of Latin cuisine. Noted chef Ricardo Cardona is also once again slated to bring his visionary insight to this year’s World of Latino. 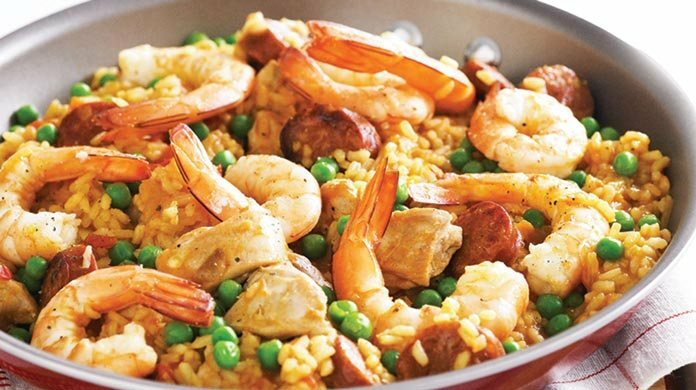 Last year’s World of Latino show also focused on Cuban cuisine. “We sense an on-going fascination the potential of Cuba,” Colon noted. So this year we’re bringing one of them back Luis Battle who was very popular with our guests. Colon and his team have focused on defining the opportunity in the marketplace for major companies including Goya. “The Specialty Food Association completed an interesting study earlier this year. They found their primary specialty food market to be generating some $120 billion per year. To give you perspective, the Latino market for food & beverages expenditures is now projected at $180 to $200 billion,” Colon explained.